Kittens- they are the oil on the gears of the internet. 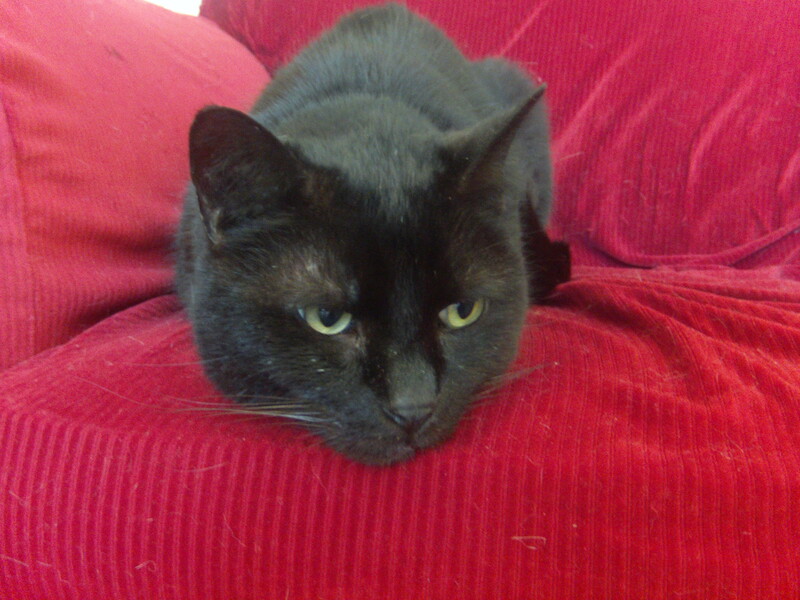 Their plaintive mews are the song that serenades the millennial. Their explosive tendencies are legendary, the massive plumes from their detonations recognized the world over as the pinnacle of- what? Kittens aren’t typically known for exploding? Then why do I keep feeding mine nitroglycerin? I shouldn’t? Oh dear. 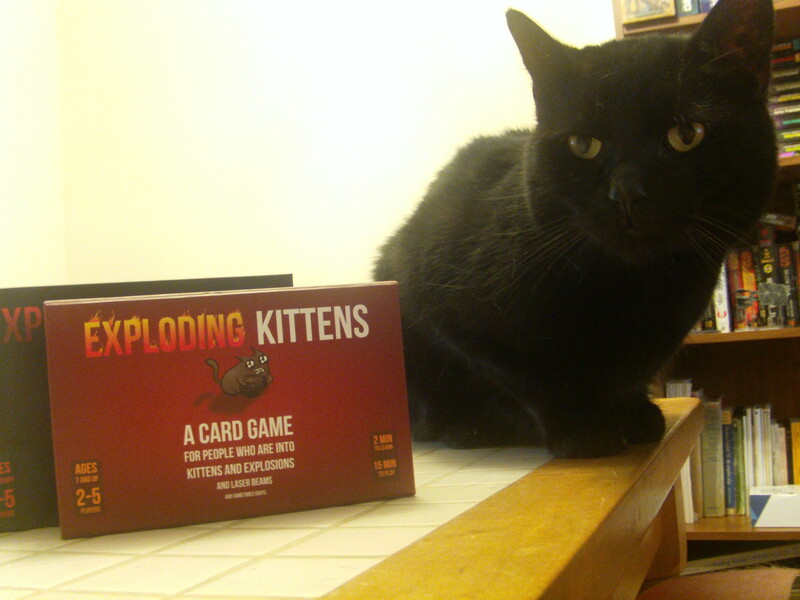 In the time it takes for PETA to break down my door, let’s take a look at the game that took Kickstarter by storm and has been the talk of the Internet: Exploding Kittens. 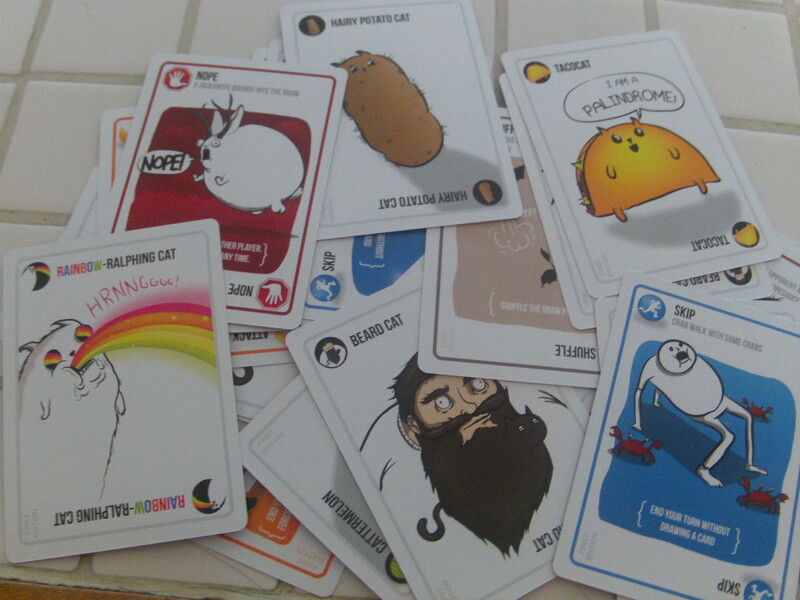 Designed primarily by Matthew Inman (the twisted mind behind the popular webcomic site The Oatmeal) this card game for two to five players takes about fifteen minutes to play and is essentially Russian Roulette but instead of pressing a gun to your head, you’re drawing cards from a deck and instead of shooting bullets, you’re exploding kittens. At the start of the game, each player is dealt four cards. These cards can do anything from allowing someone to look at the top cards on the deck, to stopping another player from doing what their card says, to absolutely nothing at all. 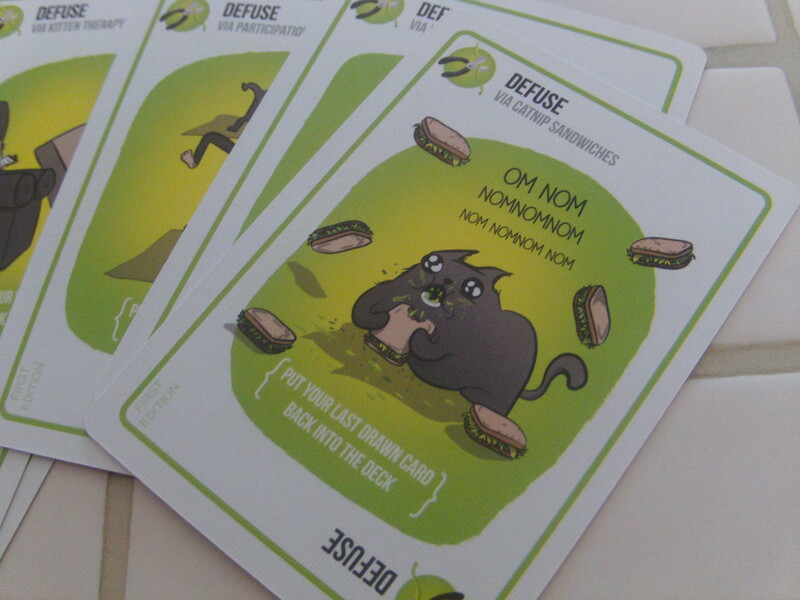 Each player is also given a Defuse card. On each player’s turn, they may play a card from their hand (or none at all) or they may play a Pair (two of those aforementioned cards that do nothing at all.) If they play a pair, they may take a card from another player. Once they have done any of those three things, they draw a card. 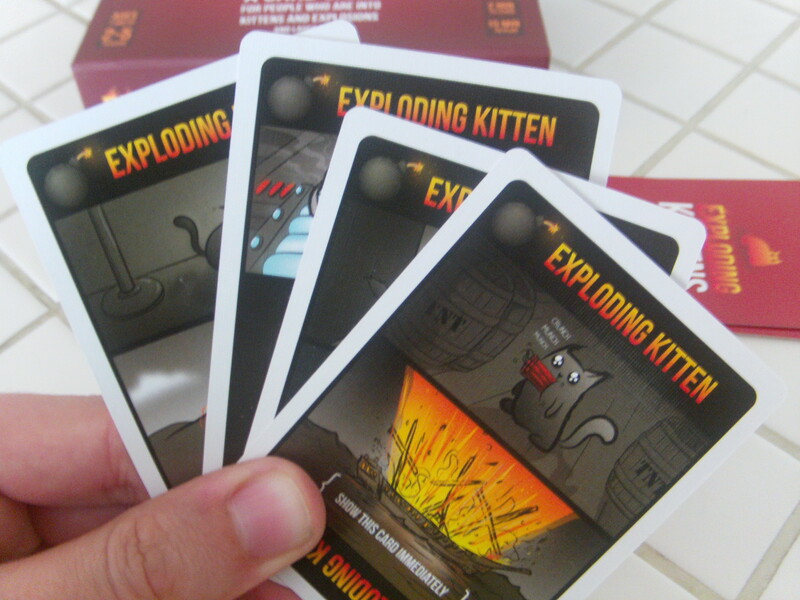 If that card is an Exploding Kitten, they are out of the game. Oh, unless you play one of those handy Defuse cards, then you get to put that Exploding Kitten card right back into the deck for someone else to stumble upon. Simple as that. So those are the bare-bones rules, but what does it all mean? Well, first, it means that this game is based on a player-elimination mechanic. Normally, this can be a bit of a drag, but since the game is so short, this is really a non-issue. The different card abilities keep player interaction high and for the first few times you play this game, you’ll have even more player interaction as everyone oohs, aahs, and guffaws over each card’s art and text as they are played. Which brings us to another point. If you are a fan of The Oatmeal then you will love this game. From the unique art to the irreverent sense of humor, this is definitely a card game for fans of Matthew Inman’s work. If you aren’t a fan of his comics, you’ll still enjoy this- the humor is broad enough and there aren’t any inside jokes that will make newcomers feel excluded. What’s more, Exploding Kittens comes in two varieties- standard and NSFW. Obviously, the NSFW edition is meant to be played by adults. But if you mix the two games together, suddenly you can play with up to nine people, meaning that your cat party can explode to an enormous size! And that’s it, really, dear readers. There isn’t really a lot to this game, so there isn’t much to like or dislike. It’s a fun party game and a fun filler-type of game for short bursts of gaming. If you like The Oatmeal you’ll love it, and if you don’t- well, maybe you won’t- but with a game this short, if you don’t like it, you won’t have to keep on not-liking it for long. If you do want to try this one out and are upset that you missed the Kickstarter campaign, never fear, as you can pre-order a copy here. So if you can get a copy, we here at A Space Ahead urge you to do so and break it out at your next party.